I graduated from Saint-Petersburg State University of Telecommunications with a degree in Public Relations in 2011. Meanwhile, I started my professional career when being a student as a project manager at the advertising agency. At that time I also had some sort of hobby: during the holidays I worked as a group leader at children camps. My experience in this sphere helped me to launch a web startup incamp.ru in May, 2011. It is the first online service for booking children camps in Russia. Working on it, I clearly understood that effective management in new media business demands not only practical skills but also deep knowledge of new media theories and research methods. That is why now I study at the University of Amsterdam at MA New Media and Digital Culture. Moreover, our company organized the first Parenting Conference in Saint-Petersburg in September, 2011. Now I understand that this project can have a significant impact on parents’ competency. In my country the problem of parents’ competency affects the upbringing and education of young generation dramatically. And I want to contribute to this problem solving. So in February we opened Parenting Academy where educational events with the leading experts of Saint-Petersburg became regular and are rather successful. However, I believe that we have to use new media more effectively to attract attention of mass audience. So my research interests lay basically in the field of e-commerce. Moreover, I am interested in new media audience behaviour and cultural differences of new media audience. Let’s play a game: try to find inappropriate word in a line. 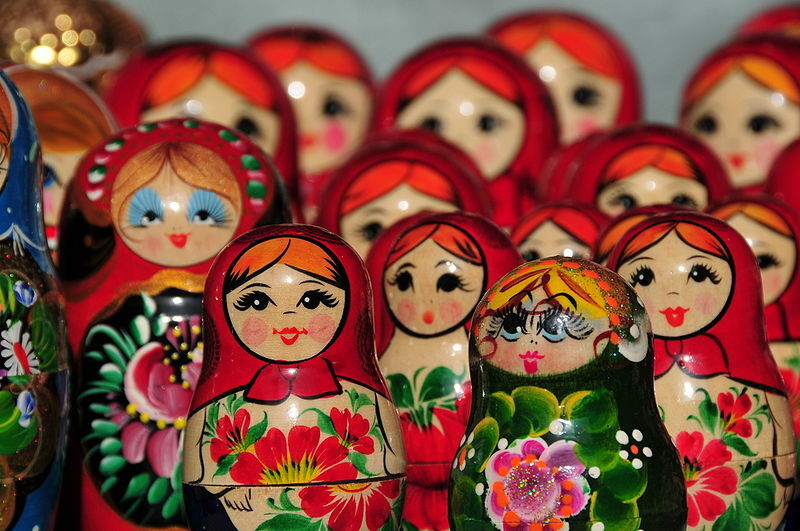 Bears, matryoshka dolls, vodka, Red Square, KGB, birch, e-commerce… Do you think that “e-commerce” is definitely not the word that can characterize Russia? Business analysts might think different. E-commerce in Russia represents an unprecedented growth opportunity (by U.S. & Foreign Commercial Service and U.S. Department of State, 2012). Look at the statistics. 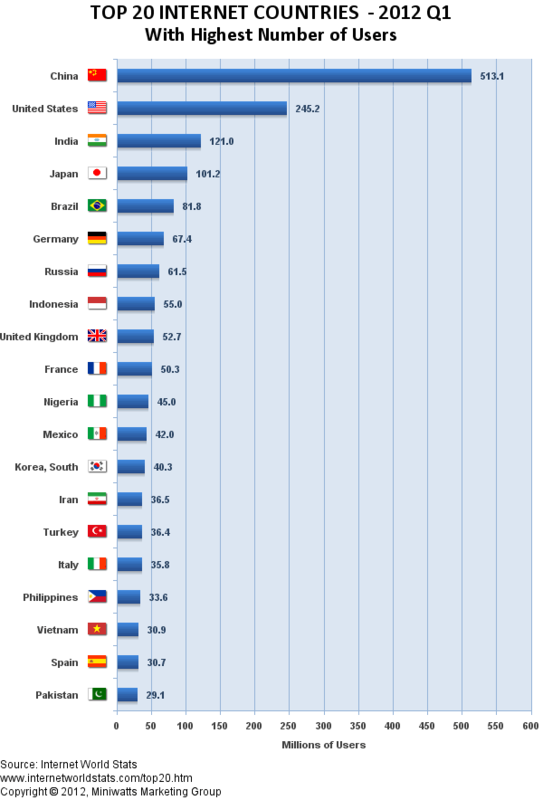 Russia already has the seventh-largest Internet audience in the world although only 44.3% of all Russian people use Internet. The number of Internet users in Russia reached 61,5 million in 2012, overtaking France (50.3 million) and the U.K. (52.2 million). Nowadays it is not only one of the largest but also the fastest growing market in Europe. They expect significant future growth in Internet usage. According to the FaberNover agency, the Russian Internet audience is forecasted to reach 70 million visitors in 2014. Now it is obvious that launching a startup in Russia could be quite perspective thing to do. Moreover, you can hardly say that Russian e-commerce market is oversaturated. In fact, there are still relatively many niches. And I was lucky to find one of them – children camps. How did we manage to find a niche? Probably, the easiest way to see a niche is to get experienced in some sphere. When the idea of launching the first free online service for booking children camps came to me I did not give a thought to “an unprecedented growth opportunity” of e-commerce in Russia and did not know all the promising stats that you have just looked through. I just knew the sphere: I went to camps from 13 years on and then at holidays worked there as a group leader for 4 years. Also I used www.booking.com. Then I realized that www.booking.com + camps = new startup www.incamp.ru which would aim to fill a sort of «information vacuum» around quality of camps and save parents’ money and time needed for booking an appropriate one for their child. Besides, it seems to me that most of “success stories” confirm the hypothesis that you can find a niche after you get experience in the subject. What to start with when dealing with a startup? The most «pleasant» thing about online services is that they do not demand hiring so many clients managers as offline businesses. For example, during high season in spring about 1000 users daily surfed our online service www.incamp.ru to find and book a camp and there were 20-30 bookings every day including weekends. At that time there were only 3 people in our team and nobody of us was totally busy with working with clients. The online system did most of the workload itself. But at first you should make the online system work by its own. Russian users still lack trust. Russian parents who are going to choose a camp lack trust even more. Firstly, it is impossible to have direct experience with our product (camps) prior to consumption. Secondly, making a decision on booking a camp requires very high level of trust. It can be explained quite simply: a parent should let his child be on his own with other people outside the city, region or even country where they live for 1-3 weeks (the average duration of camp sessions). Experienced in the camps industry, we knew that one of the key factors for making a decision about booking a camp was having trust in people who will work with children there. For this reason, we decided that our online service could not be completely “inhuman”. Anton Bogdanovych and his colleagues in the article “Travel Agents vs. Online Booking: Tackling the Shortcomings of Nowadays Online Tourism Portals” researched why some people still prefer traditional travel agents to online booking services. The results of their study showed that «social interaction with travel agents, their expertise and the possibility to save time on search» can be of higher importance for many people. In their article written in 2006 they predicted growing demand on human assistance related to online inquiries. So are online services totally “inhuman”? Let’s have a look at two leading online hotel reservation services: www.booking.com (more popular in Europe) and http://ctrip.com/ (more popular in Asia). There are over 4000 people working in Booking.com and the company has customer services in more than 50 countries. As for Ctrip, they have over 10 000 workers in their customer service. To my mind, these are quite large numbers. But still if you keep in mind that both web sites have over 30 million unique visitors each month and millions of bookings then it also becomes obvious that most of the work with clients is made by their online systems, not people. A PwC survey of 2,000 Russian online users found 92% of them shop at least occasionally on the web, up from 80% in 2009. However, really active purchasers, those who buy items through e-commerce sites on a regular basis, represent a more modest proportion: perhaps 15% of Russian Internet users (7 million people) buy on a monthly basis. Only 12% purchase every week compared, for instance, to 28% in Britain. Lack of trust also is the cause for infrequent payments with banking cards. The business model is built around the notion of free. Chris Anderson defines some of them in his book “Free”. In our case it is three-party model: we charge one customer class to subsidize the others. So parents get all the content and services for free and camps pay commission only for real clients who booked their camp via the web-site. Thus, Incamp.ru provides a cost-effective commission based model establishing “win-win” relationships with camps. A client finds a camp via www.incamp.ru and books it. The information about booking is sent directly to the camp. In 24 hours after booking camps’ manager calls the client to confirm their booking, answer their questions and explain the payment methods (for example, at camp office, by courier etc.). After the call the client can either pay for the booking directly to the camp or cancel it. If they cancel the camp does not pay anything to www.incamp.ru. But if they pay, the camp has to pay a commission to us. Such system demanded from us high level of trust in our camps-partners. Online hotel or ticket reservations system and even www.airbnb.com do not provide direct payments to their partners – hotels, airlines, hosts, respectively. Another model seems to be more rational: to get payment from a client via online-banking and then transfer amount excluding online service commission to the partner. But we were totally confident that such model would not work in our case taking in consideration the factors that were described above. Steven R. Covey in his renowned book “The Speed of Trust” says that trust produces speed and is the key factor in a global economy. I tend to agree with this statement. In my point of view, the only way to make our online service trustworthy was to start trusting first. And we did it. However, we implemented the model of so-called “smart trust” when you rely not only on your feelings but also on analysis and facts. All the bookings are fixed in accounts of clients, camps and administrators at incamp.ru. The bookings have different statuses: pending, confirmed, paid and cancelled. Camps managers’ are responsible to change them on time. That is how we can control that managers contact with clients and confirm their bookings not later than in 24 hours. Sometimes we also check if the bookings that were sorted as cancelled by camps are really cancelled by clients. And in 99% of cases that is true so 99% of our partners (about 150 camps by now) can be trusted. That’s a lot and that’s what provides our startup growth for more than a year already. More than 2000 people have already booked a camp at incamp.ru and, judging by reviews that they write at the web-site, most of them have made the right choice. I would like to finish this post with these words: “Even an overdose of trust that, at times, involves the risk of being deceived or disappointed is wiser, in the long run, than taking for granted that most people are incompetent or insincere.” – Warren Bennis, author of On Becoming a Leader. There is also interesting link for you to check out: New Web Analytics Tool Measures Brand Trust. It uses new technologies and proprietary linguistics programming to extract trust messaging as it relates to an organization on websites, blog sites, news sites, and many other locations–including social media sites. Anderson, Chris. Free. The Future of a Radical Price. London: Random House Business Books, 2009. Anton Bogdanovych, Helmut Berger, Simeon Simoff and Carles Sierra. Travel Agents vs. Online Booking: Tackling the Shortcomings of Nowadays Online Tourism Portals. // INFORMATION AND COMMUNICATION TECHNOLOGIES IN TOURISM 2006. Wien: SpringerWienNewYork, 2006, 418-428. Covey, Steven. The Speed of Trust: The One Thing that Changes Everything. NY: Free Press, 2006. Smart Mobs: smart mob(ile)s or smart Men On Bits?